I have been on quite the quesadilla kick lately. I couldn't tell you why but I have just been wanting them. 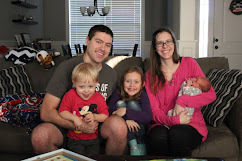 Although I do know that I have been loving how easy they are. 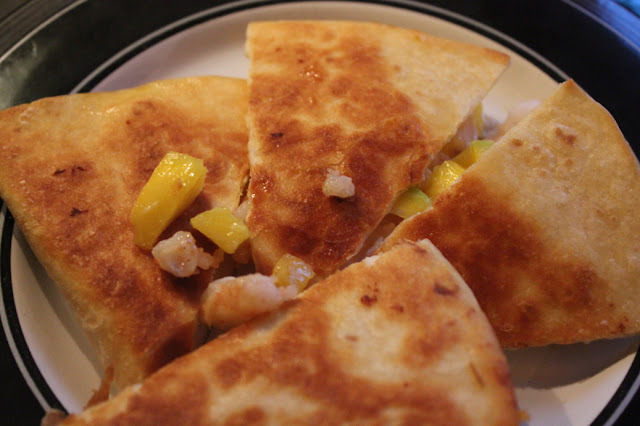 Usually about once a week we try a new recipe and this is our newest quesadilla try. Heat oil in a large skillet over medium-high heat. Season shrimp with salt and pepper. 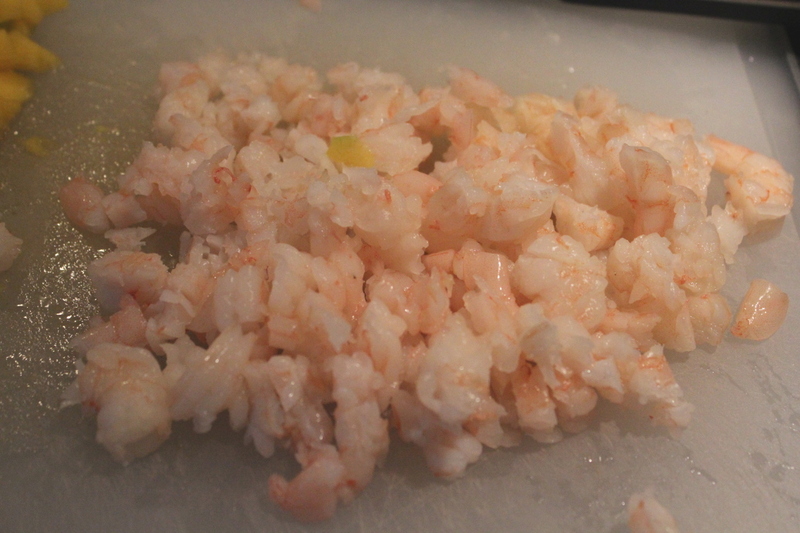 Add shrimp to hot skillet and cook until pink on both sides, about 5 minutes; flip once. Remove from heat; set aside to cool. In a medium bowl, combine cream cheese, cheddar cheese, and cilantro. If needed, microwave the mixture for 10 seconds at a time. 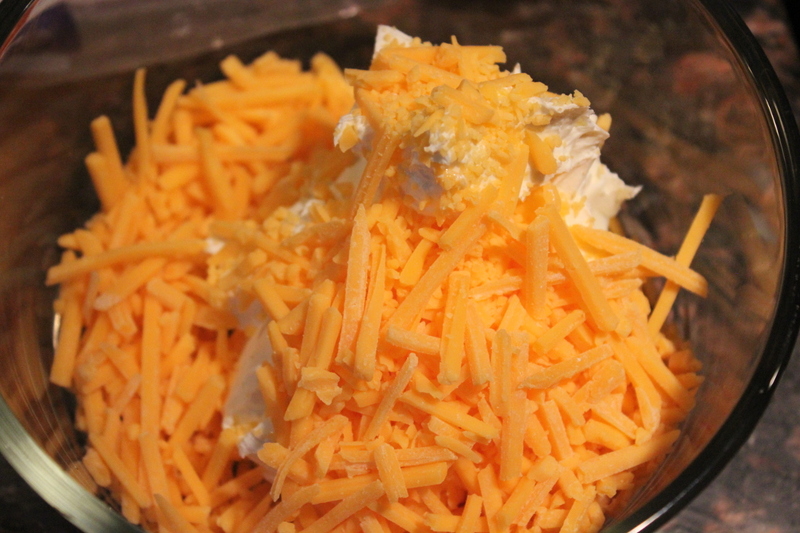 Stir after each heating - you don't want the cheese to melt, but it should have a nice spreading consistency. Taste cheese mixture, add salt and pepper to taste if desired. Chop cooled shrimp into small pieces, set aside. Heat a large skillet over medium heat. 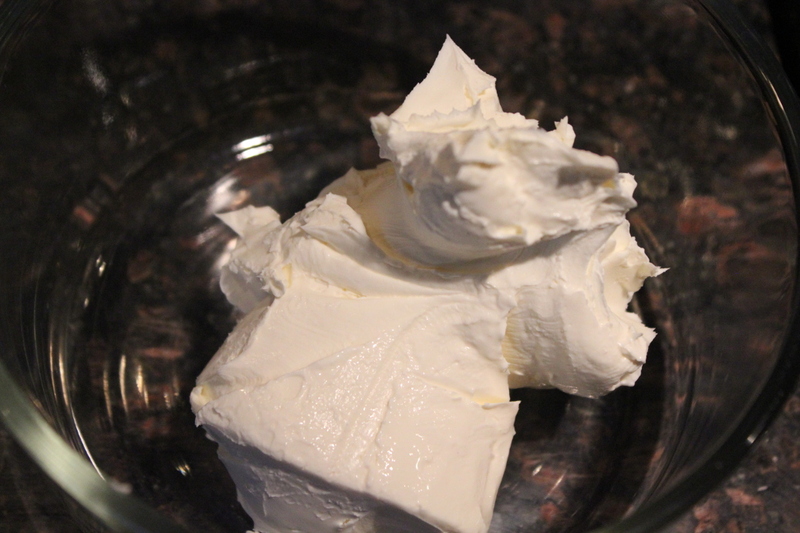 Spread 1 tbsp butter on one side of a tortilla. Place tortilla in hot skillet, buttered side down. 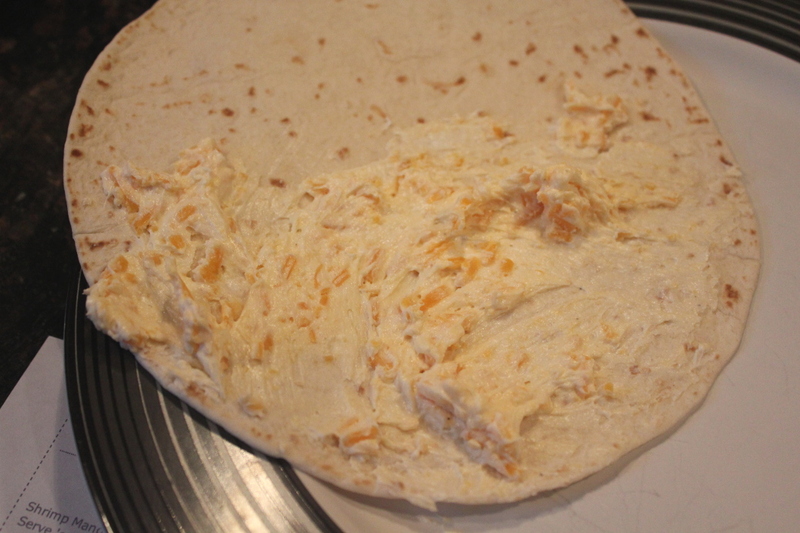 Spread cheese mixture over half of the tortilla. Top cheese mixture with about 1/4 cup shrimp and 1/4 cup mango. 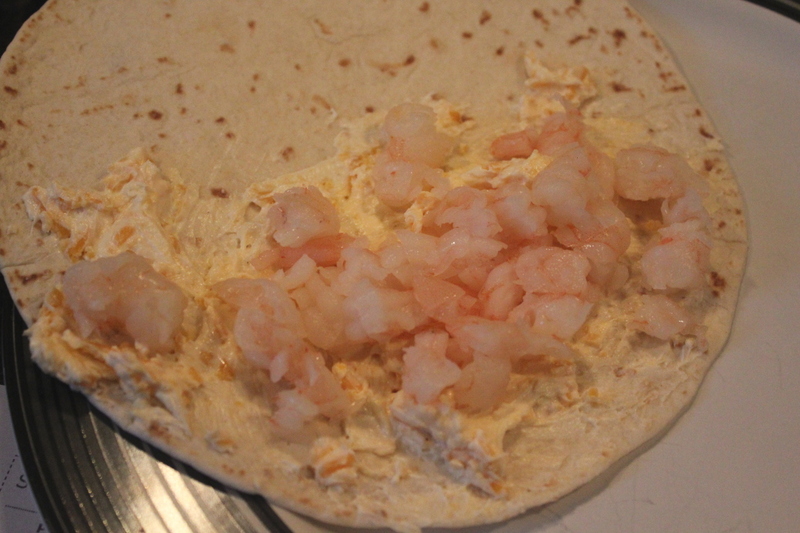 Using a spatula, fold the tortilla in half, over the filling. Cook 2-3 minutes per side until tortilla is golden brown and filling is gooey. Remove from skillet, and cut quesadilla into wedges. Repeat with remaining ingredients. Top with extra cilantro and mango if desired. I go back and forth on how I feel about shrimp so I was a little unsure about this one although I do love popcorn shrimp always. 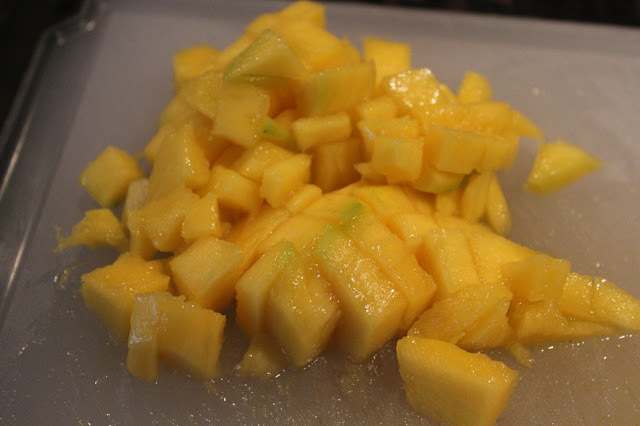 But I knew without a doubt that I love mango so I was hoping for the best. But this one was weird. 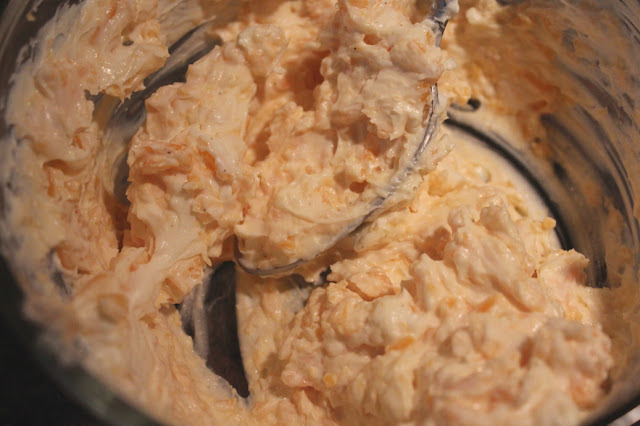 The cream cheese mixture was really rich and unless I had a bite of mango in my mouth, I didn't really enjoy it at all. Rob was more okay with this one but definitely wasn't interested in adding it to the favorites. That would make this quesadilla recipe the first that we didn't love. Addie didn't eat it but she was down with a high fever and wasn't interested in eating at the time. However Connor ate it up. This was his first time having shrimp and he seemed all for it. He also loved the mango but that's not that much of a reach. 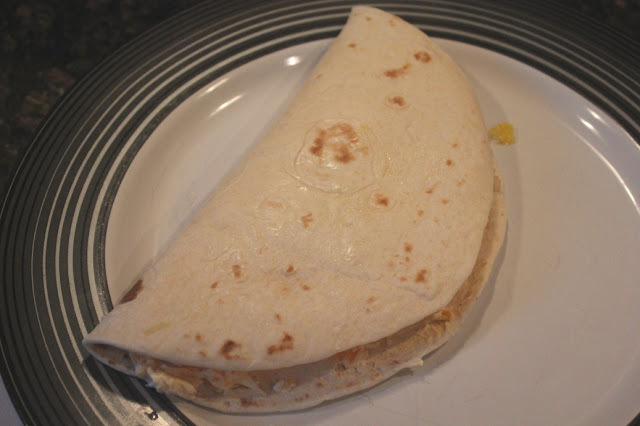 So this meal was a bit of a disappointment for us, but that hasn't deterred me from my quesadilla kick and there will be another recipe coming soon enough I'm sure.